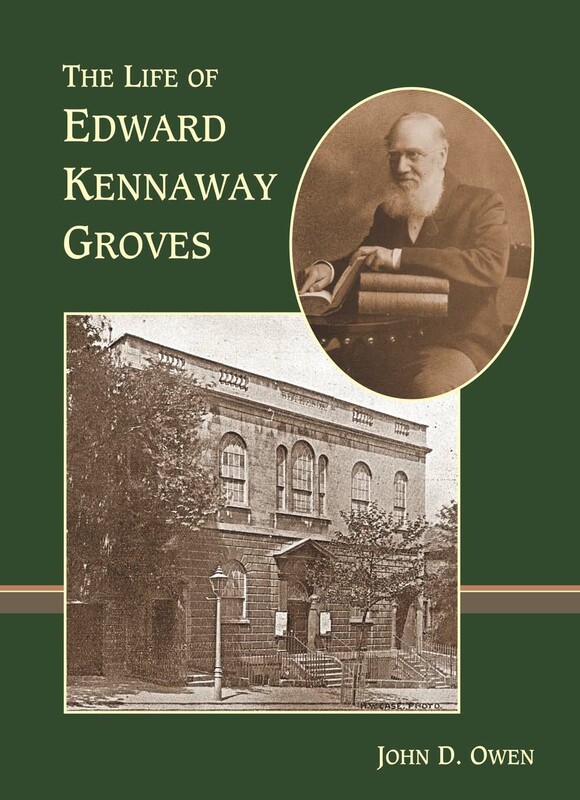 Edward Kennaway Groves was a renaissance man personified; a man of great energy with an enquiring mind; a linguist, an ingenious practical engineer, a preacher and deeply religious student of the Bible, and a devoted family man. Sadly Edward suffered significant mental health issues, poorly understood at the time, and he was certified insane on three occasions; the manage-ment of his illness and subsequent prejudice against him are an integral part of his life story. The stigma of mental illness negated his efforts to bring Bethesda round to his way of thinking, and as a result he was consigned to the endnotes of Brethren history. This biography is designed to assign to Edward a place in history more appropriate to his talents. There can be no doubt that Edward’s efforts to change the way things were done at Bristol Bethesda infuriated the hierarchy. Whether he was justified in his challenge the readers of this book must decide for themselves. SKU: 0486. Categories: Biographies, Tentmaker Press Titles. His achievements, his disappointments, and his relationship with Bristol Bethesda chapel. Edward Groves was the third son of A N Groves, a founding father of Brethrenism and later a missionary in India. In many ways Edward Groves was a renaissance man; a man of great energy with an enquiring mind, he was a linguist and a practical engineer, a devoted family man and a deeply religious student of the Bible. Sadly though, Edward Groves suffered significant mental health issues, poorly understood at the time, and he was certified insane on three occasions; the management of his illness and subsequent prejudice against him is an integral part of his life story. His efforts to bring the membership of Bristol Bethesda round to his way of thinking were frustrated by the stigma of mental illness, and as a result he was consigned to the endnotes of Brethren history. This biography is designed to assign to Edward Groves a place in history more appropriate to his talents. While the core of this book deals with Edward Groves’s place within the Brethren community of the Bristol Bethesda chapel, it offers glimpses of what it was like to have endured an education reminiscent of Dotheboys Hall, of his life as a successful business man in British India, and as a patient in a variety of 19th century mental institutions, some brutal and some with a remarkably enlightened approach to mental illness. Edward Groves has left us a unique record of the Bristol Bethesda community, of its theology, of its inner workings and the behaviour of its leaders. Though ultimately disastrous for him, Edward’s legacy is a unique testament, which stood then, and still stands, as a challenge to the unquestioning deference accorded to his uncle, the great evangelist/philanthropist, George Müller. No one, either before or since has had the courage to offer criticism of the great man. To his contemporaries Edward may have been, at best, an unreliable obsessive, but the test of time shows us a man of great kindness and blazing honesty whose insights illuminated the strengths and failings of the community of which he was for so long a part. It was Edward’s tragedy that he was driven to question men who could accept no opposition; perhaps it was Bethesda’s tragedy that it was never a church broad enough to accept Edward for the restless spirit that he was. There can be no doubt that Edward Groves’s efforts to change the way things were done infuriated the hierarchy of Bristol Bethesda. Whether he was justified in his challenge the readers of this book must decide for themselves.